I believe we all have spirit guides — spiritual beings of the highest truth and compassion working on our behalf to guide our thoughts and energy back to love. They are not physical and are not bound by the natural laws of this world. These beings come in different forms and have different purposes. But their common goal is to help guide us back into alignment with the love of the Universe. When you cultivate a relationship with your spirit guides, they will give you wise and loving guidance to help you in every area of your life. In this blog post I’m sharing my spirit guides meditation to help you connect with your spirit guides and receive clear guidance. This meditation is a beautiful practice that will help you create a deep connection to the beings of love and light who are always here to support you. While your spirit guides are always present, it may not feel that way — because you may not be aware of their presence. This meditation will help you to invite them in and become aware of the guidance that is available to you. Why connect with your spirit guides? Our spirit guides help guide us back into alignment with the love of the Universe. When you get stuck in a fear-based thought or pattern, you can turn to your guides to help lead you back to love. Knowing that there is a presence always supporting you will give you unshakable faith and strength. This spirit guides meditation will help you invite in this support. Before you press play, make sure you have a journal handy. After the meditation you’ll free-write to let the guidance you’ve received come forth. Find a quiet, comfortable place to meditate. Sit up straight in a chair with your feet planted on the floor. The more aligned you are physically (to the best of your ability), the more you can receive. When you’re ready, press play and follow my guidance. After your meditation, open your journal. You can follow my guidance in the audio meditation above, and I’ve also written it out here for easy reference. At the top of the page, write: Thank you, guides of the highest truth and compassion, for writing through me. Then free-write for 4 minutes, letting your pen flow onto the page. Don’t second-guess or edit anything that comes through. After 4 minutes, take a moment to wrap up whatever it is that you’ve been writing. Thank your guides for their support, taking a deep breath of gratitude and appreciation. Receive the gratitude and appreciation back into your heart. “I believe that the Universe is the ever-present energy of love within us and around us. I believe that in any given moment we can align with that powerful presence of love through prayer, thoughts and stillness. We can measure our peace based on our ability to align with this force field of Universal energy. I trust in these spiritual guides just as much as I trust in my husband or my mother. I believe in them deeply and I know they are working through me to strengthen my faith in the Universe. I believe that we are here in these bodies at this time to learn great spiritual lessons. In The Universe Has Your Back, I guide you transform your fear to faith through spiritual practices, prayers, meditations and affirmations. You’ll learn how to let go of the need to control so you can relax into a sense of certainty and freedom. You’ll release the blocks to happiness, security and clear direction. And you’ll feel even more connected to the spiritual guidance that is always available to you. 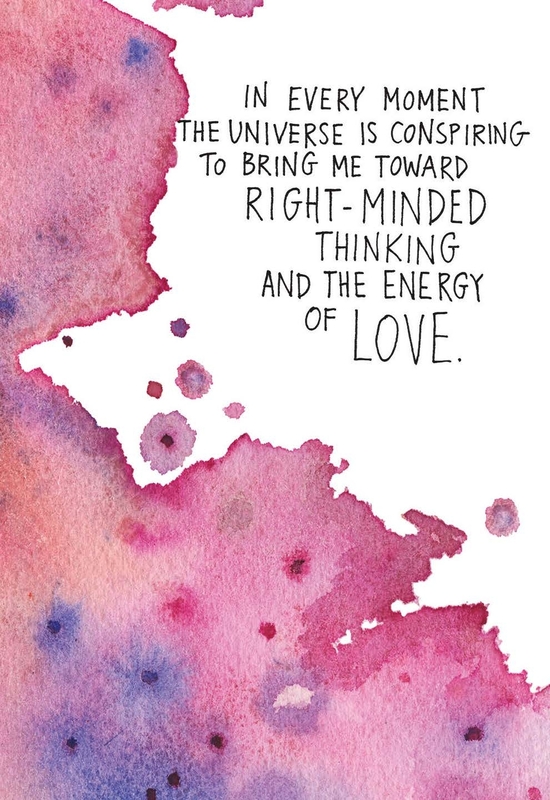 Plus, when you order The Universe Has Your Back you also get a free bonus: my two-hour online workshop called The Art of Manifesting! Order the book and claim your gift here. You can call on your spirit guides at any time through this meditation. Use it whenever you’re looking for guidance or support in any area of your life. Following this meditation and free-write, take some time to process everything before you move on with your day. You may want to have some tea, relax, review your notes in your journal or go for a quiet walk. Make sure to give yourself at least a few minutes to get grounded before going back to your day. I hope you enjoy this beautiful practice. Leave a comment below letting me know about your experience and what it’s like connecting with your spirit guides! A wonderful way to start my day/ week. I sat down to meditate and your email popped up so I chose to open it & do the meditation as it resonated with me. I very recently became aware of my spirit guides so this was perfect! Thank you for your wisdom and to you and your spirit guides for sharing this with us. With love, gratitude and blessings. I am learning to open myself up to receive and trust and this meditation took me further on this journey. Thank you. I was doubtful if the words would flow afterwards however they did and I feel blessed and grateful. During meditation, I have trouble recognizing the difference between what I want to hear and what I actually hear. How do you tell the difference? Tks. I have never done free writing before and this experience was great for me. The message i got was be free and let go. I have only once had a clear message from my guides, and the voice was so clear I trusted it was not my monkey mind. I will definitely do this meditation again. Thank you! Thanks Gabby! I have been feeling out of alignment lately and this is really going to help bring me back to love and light. I am so grateful for your guidance. It is only because of your SJMC and ‘The Universe has Your Back’ that I even recognize when I am out of alignment with the Universe. I used to just feel off or in a funk sometimes without realizing what it was or how to get back on track. Thanks to you, I am so much more aware and understand what is happening so when I start to feel out of alignment I now know I just need to re-connect with my spirit guides and change my vibration and I will feel better. I have started reading the universe has your back , also I practise Kundalini yoga kriyas as taught by Yogi Bhajan. Your guided meditations are very helpful and I look forward to them. Super grateful to have you! Wonderful! Happy that these tools are supporting you! I felt my mother. Sometimes her absence cuts through me, but my mother was very much with me when I asked her to reveal her name. She has been gone just over a year now, and I felt her say she was with me, and she’s with my now 1-year-old baby, every day. I am a single mother to my baby and I feel so much guilt for her not having a father that is present or functional… but in this quiet I continuously heard that I am enough. What a beautiful meditation. I am so grateful for your work. This meditation and writing exercise really helped me to re-affirm my dreams and receive encouragement and support. The turmoil of the last couple of weeks and fear of change has transformed with my spirit guides to connecting with my authentic needs and feeling deserving of love, compassion, and help. Thank you for a beautiful way to close my day! What a beautiful message Mim! Sitting in my office when I cam across your email to meditate this morning. This was a beautiful meditation – I felt warmth at my back and still can. My mother came through and also an Ann and an F? Anyway the guides were asking me to go out and play in nature – its a beautiful day here in Yorkshire England and the message that came through strong is that everything is and will be ok and to just love, radiate love, be love , see love , touch love , smell love and embody love. tears in my eyes ….of relief.. Thanks for everything Gabby! You always come through at the perfect times … I am listening to the Law of Attraction right now for the second time, it finally clicked and then this lands in my inbox. I just finished a second day of this meditation and the free writing has me really mesmerized. Thank you! This is the first time for me doing this. My free writing coming through was all about love. One part, “You are always beautiful for everyone is there to be loved, recognized.” The meditation itself and the writing have me tingling. All the message was centered about love; revealing to me that love is all that matters. Thank you Gabby for sharing your love and guidance. I am going to rest now and absorb. Thank you for all steps of the practice. Including journaling time in the meditation really helps me to do it instead of blow it off. Big hugs to you Paula! Excited that you’ll be on our B-School call! So gratexul. for you Gabby but I feel like I’m just giving myself messages, I couldn’t feel the spirit guides so got increasingly frustrated with myself… it’s hard… I’ll keep trying but feel like maybe I don’t have any guides out there, which is why I feel so lost. Loved this meditation! Thank you so much. I have been peeling away the layers in the last year. Not sure where to go next. My spirit guides will be there as I think you will be as well. Thank you Gabby. I was moved to tears during this meditation. I’ve been feeling a bit lost in my purpose lately, and wondering if I’m on the right path. At one point I sat up straighter, and when I did it was like suddenly I could feel the warmth of hands all over my body telling me I was not alone, which sent electricity through me. The free-writing was also so powerful, with messages of trust coming through: having faith, trusting my purpose, and to keep climbing, because success is imminent. Thank you for your incredible gift. Thanks for sharing this gorgeous miracle moment! Beautiful, Sarah. If you’re feeling unclear about a certain message or name, return to meditation to get grounded and ask for clarity. Keep trusting that inner guidance. A wonderful meditation and journaling practice.❤️ I will use this as part of my routine that I after after my night shifts at our local women’s shelter for women with children fleeing domestic violence. It will be a lovely addition to my post shift and pre sleep routine I usually am not a writer but I did 2 pages after this morning. Interesting. Also this is a gentle meditation for use with my new to spirituality students.at my yoga studio. Truly available for everyone. Thank you for the beautiful practice! This is a good meditation guide, however when I attempt to “allow” the guides flow through me, my hand is just “stumped”…not writing anything but my own thoughts. Not sure if I’m doing it right? When journaling after meditation, write the first thing that comes through you. Don’t overthink or edit yourself! If you are still feeling stuck, go do something FUN. I feel like this meditation came to me for a reason i’ve recieved other emails from you but they always end up in my junk mail. I added you to my contacts and still they end up there, but this one didnt and i know it was for a reason. I’ve been in such a funk lately and i know I’m definitely out of alignment and for some reason i have resisted mediation even though i know it has massive benefits and i’ve done it before and just felt lighter and had more clarity but perhaps because my mood i didnt want to do anything. However when it showed up in my email i check daily i thought maybe this is for a reason and decided to give this a try. I feel more peaceful than i have in awhile and i even wrote a few lines. I’m going to continue doing this meditation and see what happens. Thank you so much for putting these meditations out there! This has to be one of the most beautiful and touching meditations I have ever done. I felt such an outpouring of unconditional love from my spirit guides. The first time, I heard the message “have fun!” The second time, the message was “be gentle with yourself in all ways.” Today, was “you are actually perfect.” Every time I have cried. Thank you, thank you! Thank you so much for gifting us with this! Is it possible that we have more than one guide? Thank you for continuously sharing your light so that we may be guided toward the love and the light! Words didn’t flow, nothing flowed. Didn’t feel connected. I wonder what’s missing from me here… try again another day.